me! I have had the best month in Ecuador! te amo mucho!!" "Gracias por todo! espero poder regresar pronto!" I am sure that living with you all was the most important part of my trip to Ecuador"
be our home base for all our exciting adventures"
use as their home base for a S.A. adventure"
"The house is beautiful and confortable. I enjoyed the peace and quiet... and dinners!" 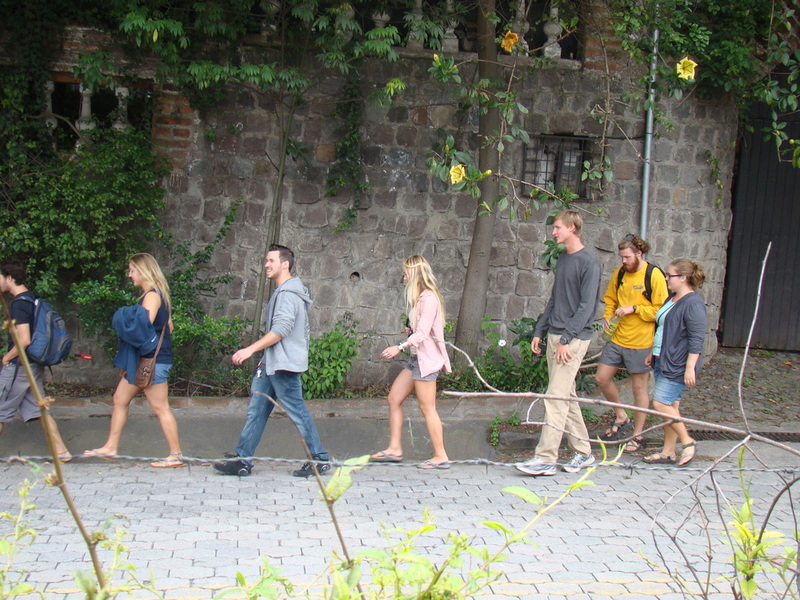 Some of our guests walking to Cumbaya from the hostal, a 15-20 minute walk. Casa Quinde is the most beautiful and enchanted placed I have been in...! the best in all Ecuador! this place is amazing, you are so close to Quito and a step from Cumbaya. In this place you feel so safe!! what it have been so important for my family, also we love to wake up to the singing birds makes you feel you are far away from the city when you are not. We want to thank "Lili and Mateo" for everythings...! They make us feel home since the begining. You bugs are so caring and so nice that make this place so special we are so caring we are gonna miss you so much! We hope to comeback soon, this have been a very great and positive experience for us you bugs really treat us like family. THANK YOU!! !